Jenny: "History. Well-made clothes from history." 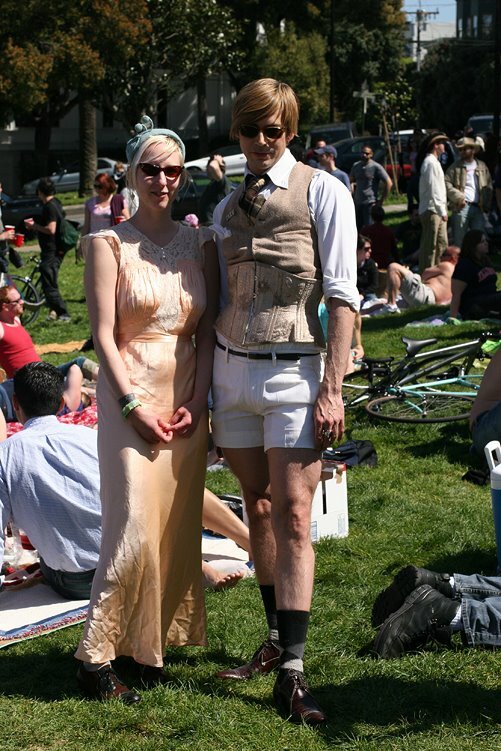 Fabulousness in the park for Easter Sunday. A lovely silk slip on her and tweed on him (with corset). 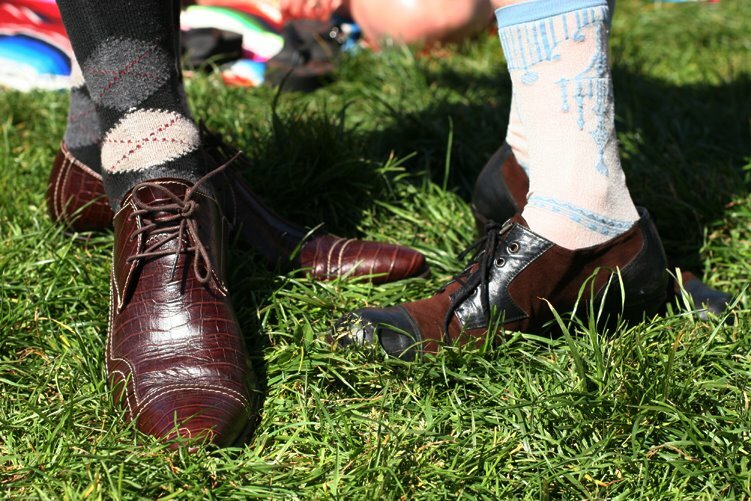 Their shoes and stockings are particularly fetching. oh how daring! i wonder where they shop! They are rediculously wonderful! I love her dress, I am obssessed with peach these days. Pretty! 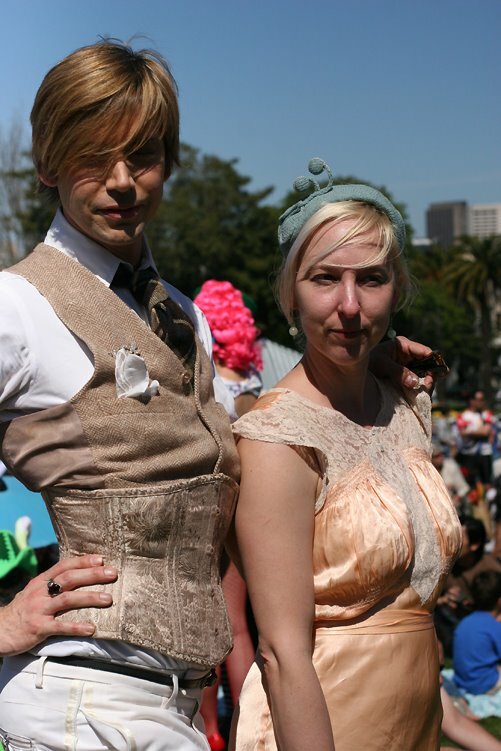 But that corset is just a little too weird for me.